You know how everyone thinks they have the key to the best cookie recipe? But that's okay, because I have the key to the best damn cookies you will ever eat in this lifetime and I'll even let you in on the secret- for free. The secret to the greatest cookie ever is all in the baking time. I find that around 10-12 minutes is all these babies need to give you that gooey, soft goodness that will leave you begging for more. 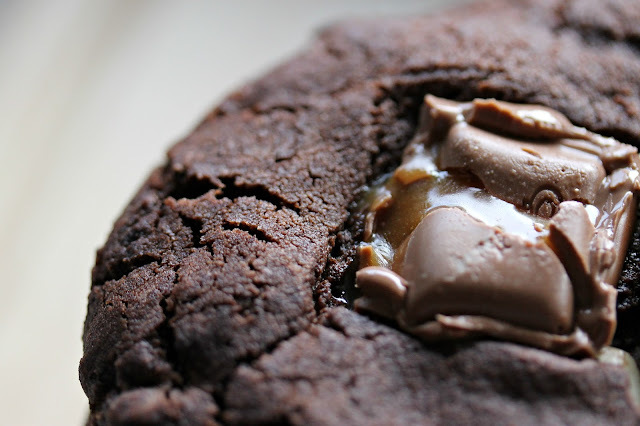 Forget about milkshakes bringing all the boys to the yard, these cookies will have them banging down your door! The first time I ever made these, I took them out around the 11 minute mark and thought to myself, 'Ain't no way in hell are these biscuits cooked!' Alas, I was proved wrong 30 minutes later when my kitchen smelled of chocolate and my countertops were covered in the most appetising cookies I have ever seen in my life. Just like when you want to cook a nice juicy steak, where you cook it for less time and let the meat 'rest', it is the same way with these cookies. 3. Crack in an egg and mix until well combined. 4. Carefully fold the flour into your mix, making sure it's well combined. I find it easiest to use my hands once the texture starts to crumble- so much easier! 5. Add in your cocoa powder until your mixture turns a chocolate colour. 6. Now for the fun part- the mix ins! Add anything you like- go crazy! 7. Roll into balls and place on trays lined with baking paper. Pop them into the oven for 10-12 minutes. 8. Once out of the oven, let them cool for 30 minutes. This is the hardest part! 9. Enjoy them! I take mine with a cold glass of milk, a la Santa! I love this recipe so much! It's simple and quick and so easy to whip up if you've got unexpected guests around too! Are you a fan of cookies? Laura, they are absolutely delicious! White chocolate is the best! Thanks lovely! wow these look so delicious <3!! They are SO delicious Chloe! These look decadently delicious! 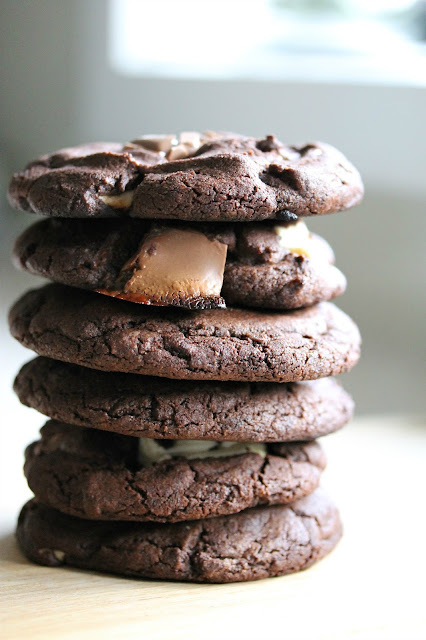 I am definitely a fan of cookies and I need to try this recipe asap!